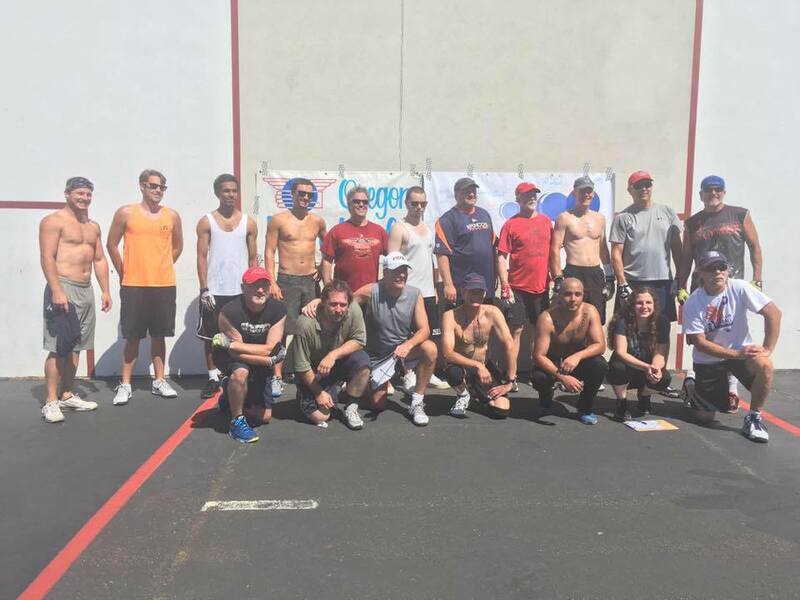 The Oregon Handball Association is excited to announce a partnership between Portland One-Wall Handball and the World Players of Handball to promote and grow the 4th annual Portland One-Wall Big Ball Doubles tournament, set for August 25th, 2018 (rain date: August 26th) at Roseway Heights School in Portland, Oregon. The tournament is expected to cap at 32 players (16 teams) so enter now by clicking here. This prize money doubles event is New York style, featuring “street ball” rules and matches are one game to 21, win by two. The expected prize money per team is approximately $1000 for first place, $500 for second place, and $200 for consolation (could be more or less, dependent on entrants and sponsorships). An ample supply of water and Gatorade will be supplied for the players, and lunch will be provided by Garlic Jim’s Famous Gourmet Pizza. The tournament will be directed once again by the USHA’s 2016 Volunteer of the Year, Kimberley Duval, who was recognized for her efforts to introduce and grow the outdoor handball scene in Portland, with this tournament as her crowning achievement. After moving to Portland in 2013 and starting a one-wall movement in 2014, Kimberley caught the attention of the Alten Handball Foundation who took the initiative to construct three new one-wall courts at Roseway Heights School in 2015. These courts have served as the annual tournament venue ever since, and the Alten Foundation has continued to support the tournament over the last three years. Enter the tournament via the Eventbrite website by clicking here. Deadline to enter is Saturday, August 18th. For questions about the tournament, please contact tournament director Kimberley Duval at portland1wallhandball@gmail.com. For questions about traveling to Portland and the local handball scene, please contact Oregon Handball Chairman Nick Flores at nickflores21@outlook.com.